Wanting to give a Bespoke Custom Experience to a Family, Friend or Colleague. Get them a Custom Suit, Shirt or Sports Jacket that perfectly fits them? 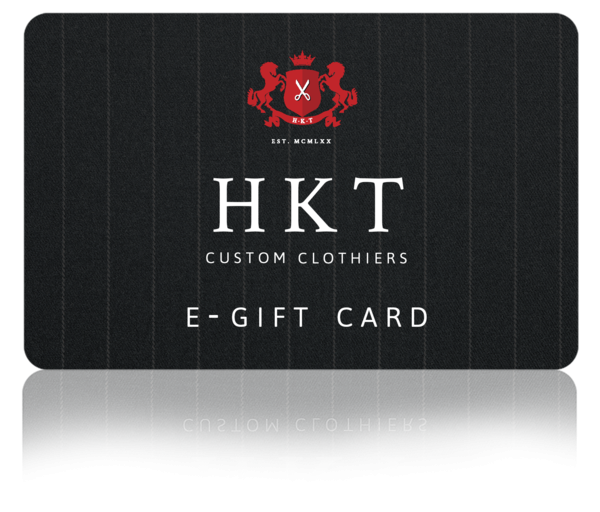 But a Gift Card from HKT Clothiers and give them a bespoke experience of a lifetime. Buy a Gift Card online to be redeemed in store. 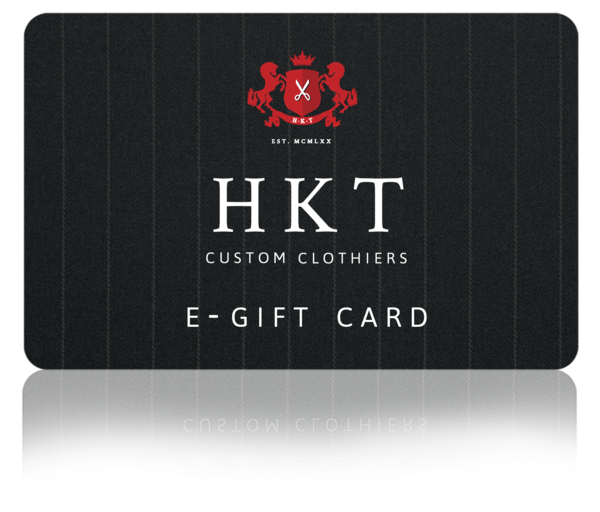 © 2019 HKT Custom Clothiers.